Bringing your clothes to a dry cleaner is one of the fastest and easiest ways to have your garments cleaned. Deciding to bring your clothes to a cleaner is one thing, but choosing the best dry cleaner is a whole new ball game. There are so many dry cleaners in Dallas, TX—how are you supposed to find the best one to meet your needs? Luckily, we’re here to help make that choice a bit easier. Continue reading to learn how to pick the right cleaner for you. Cleaning location: Dry cleaners clean their clothes in one of two locations. Some dry cleaners are “package stores”—they clean the clothes in-house with their own equipment. The other option is a “dry store”—these dry cleaners transport the clothes to a central plant where all of the cleaning is done. Package stores give your clothes personal attention, but dry stores usually have faster turnaround times. Solvents: Many dry cleaners re-circulate their cleaning solvents time and time again. This cuts back on costs for them, but it can also pass dirt and grime from other clothes onto yours! Make sure your dry cleaner always uses new solvent for each customer. Pressing equipment: Everyone loves a freshly pressed shirt or a pair of pants—that’s a big reason why many people bring their clothes to dry cleaners in Dallas, TX. There are two methods of pressing garments: by hand or with a machine. Pressing by hand ensures crisp edges, and your clothes won’t be damaged. On the other hand, equipment will get the job done faster, but the hot air from the machine could damage your clothes. Responsibility: Nobody’s perfect, including your dry cleaner! Whether your shirt is lost or your pants are damaged, mistakes can happen. Make sure that your potential new dry cleaner will compensate you for any damaged or lost goods. Unless you’re new to town, you surely have some friends or coworkers who take their clothes to a dry cleaner. Ask one of them who you should use to clean all of your clothes. After all, no real friend would send you to a less-than-reputable dry cleaner. We’re sure that any friends you ask will send you to J’s Tailor & Cleaners to have all of your clothes cleaned, ironed and tailored. On the off chance that you don’t know anyone who can recommend a dry cleaner, you can always turn to the internet. There are dozens of websites out there that specialize in posting customer reviews for all sorts of businesses, including dry cleaners. Be sure to choose a dry cleaner that has a bunch of four- or five-star reviews. These are likely to be reputable businesses that you know you can trust. 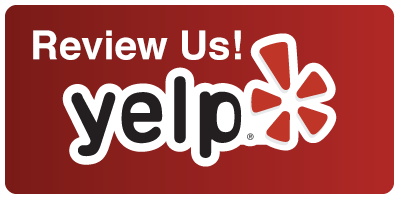 Go ahead and check out all of our online reviews—we’re sure you’ll like what you see! Don’t waste one more minute bringing your clothes to an inferior dry cleaner. Come down to J’s Tailor & Cleaners and let us show you why we’re one of the premier dry cleaners in Dallas, TX!